We now have in stock. Organic handcrafted Barrel-Aged Vinegars From Kimberley®. 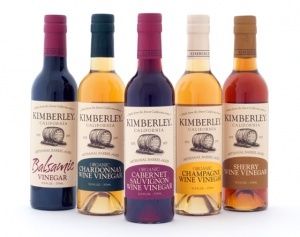 Kimberley has been making artisanal wine vinegars in California for over 41 years. Using traditional French fermentation methods, known as Orleans process, Kimberley vinegars taste like the fruits from which they came, with a distinct varietal wine character that reflects the fertile soil and unique climate of California.